In the ever-changing world of events, it is important for corporate meeting, conference and event planners to constantly be looking ahead and anticipating attendees’ needs and desires. Every year, new trends emerge, presenting both challenges and opportunities. I’ll shed some light on what meeting, conference and event planners can expect in 2019. I will also share a few tips for maximizing your resources and executing an event that leaves a memorable impression on all your attendees. 1. Today’s workers want shorter meetings, more time with their families. Busy career folks want to spend more time with their families, so it is more important than ever for planners to find creative ways to pack impactful activities into shorter time frames. Rather than several keynote speakers throughout a day or weekend, consider coordinating a panel with several experts who bring different perspectives to a topic. This results in a more well-rounded discussion boiled into one block of time. 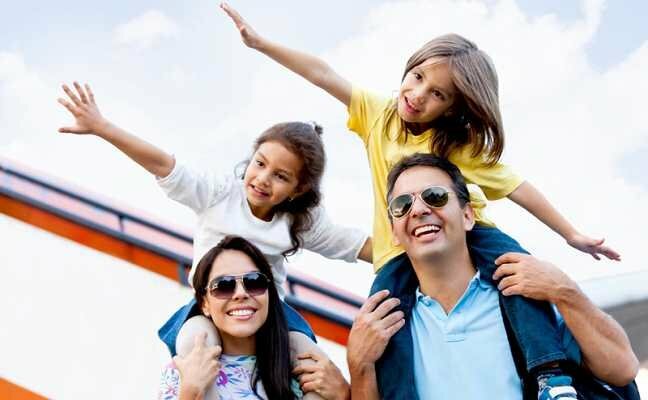 Another family-friendly consideration is to start your meeting, conference or event on a Sunday night at a fun, memorable location, allowing attendees to bring the family with them to enjoy a pre-conference weekend at the destination. 2. Tech is still king. From registration to agendas to networking, integrating technology into many aspects of a meeting, conference or event is here to stay. Mobile technology is becoming increasingly more prevalent, especially apps, as attendees are preferring things to be simple, streamlined and high-tech. Putting your meeting, conference or event all together directly in an app ensures attendees can register and take pre-event surveys directly from their phones. It is also becoming more common for QR codes to be placed on nametags so attendees can connect via their phones rather than collecting physical business cards. The less attendees have to carry (and potentially lose! ), the better. Consider integrating mobile technology into the meeting space, too. There are tons of free resources for conducting interactive mobile polls and soliciting questions from attendees. It helps keep attendees engaged and empowered throughout large or small group sessions. Finally, apps are also helping keep attendees safe at meetings, conferences and events. It is becoming common for an event app to incorporate features that allow attendees to report inappropriate situations – and often offer options for safe rides for those who have been drinking or otherwise feel unsafe. 3. FaceTime isn’t face-to-face time. While logistics are becoming more and more digital, virtual meetings are becoming a thing of the past. The digital conference trend is waning as the model is transitioning to more onsite events that are interactive and focus on in-person team and relationship building. While virtual meetings can still be beneficial for smaller groups and international teams – and can often be a cost-effective option – research shows that they result in low engagement and retention. There’s still something really powerful about getting a bunch of like-minded people into the same room to participate in discussions and workshops. 4. Ditch the conference room for a unique venue. Getting out of the traditional office or conference center ballroom and into unique venues is a simple way to shake things up and let your team connect in brand new ways. In Minneapolis Northwest, for example, nationally renowned Topgolf recently opened in Brooklyn Center. It’s the perfect place to host a corporate meeting or event for large or small groups, where you can talk business but also have fun together. WhirlyBall Twin Cities in Maple Grove is another fun offsite location with a full restaurant and bar. 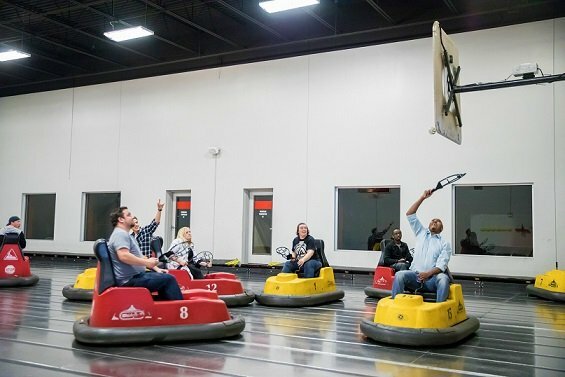 WhirlyBall is a unique “sport” that combines basketball, hockey, lacrosse and bumper cars. We’re thrilled to have attractions like these in our area because they offer fun, outside-of-the-(office)box ways to host corporate meetings or events – plus, they easily ignite the competitive spirit! 5. Shake up the structure. You have likely heard of it: the unconference. It is not a new format, but it is quickly becoming extremely popular. There is an element of intrigue baked in, since there isn’t a full agenda for the day or weekend until attendees essentially create it. You’ll want to pre-plan one engaging topic to drive attendance, but crowdsource additional topics, facilitators and information directly from attendees ahead of and during the event. Unconferences are strictly peer-to-peer connection and instruction, which ultimately lead to attendees feeling empowered and fulfilled. 1. Connect with the meeting location’s local DMO or CVB. Once you’ve landed on a city for your meeting, conference or event, I can’t stress enough how beneficial it will be for you to connect with the local convention and visitors bureau (CVB) or destination marketing organization (DMO). In my role as senior business development manager at Minneapolis Northwest Tourism, it’s my job to provide meeting and event planners information about hotels, facilities, attractions, restaurants and activities that will best fit your group. We can help lead you to planning your most successful experience that’s within your budget. And best of all, we’re a completely free resource. So before you call 30 hotels, give us a call so we can cherry-pick the best options for you. 2. Stretch your budget with financial assistance. Not only can CVBs and DMOs connect you with the right people and places, but many of us provide financial assistance. Minneapolis Northwest Tourism offers an event assistance fund. Ours is unique in that planners can apply it to anything associated with the event, including transportation, lodging or activities. It’s highly worth checking into – especially for nonprofits and association groups with limited budgets. 3. Refer to testimonials and referrals. These first-hand accounts provide credibility and help ensure a successful event that’s tailored to your specific needs. It helps put your mind at ease to hear other planners’ experience – good or bad – before committing to a location, venue or vendor. Note: A shortened version of this article was featured in the January issue of Corporate & Incentive Travel.